COLUMBUS, Ga. With a new year ahead and substantial growth on the horizon, OmegaFi continues to hire new talent that can facilitate a fast-paced and innovative market. OmegaFi is looking forward to continuing to serve the fraternity and sorority community through providing not only operational success, but valuable information and resources to better facilitate chapters’ everyday operations and growth. In October 2016, Mr. David Ebner accepted the role of Director of Marketing, and as of today, he has fully transitioned into the role. Mr. Ebner is a brother of Chi Phi Fraternity where he also served as a Senior Field Executive from 2010-2013 advising fraternity officers on chapter operations, success and leadership. Mr. Ebner comes to OmegaFi with an MFA from the University of Tampa and a depth of knowledge in the fields of digital marketing, SEO analytics, content building, advertising and marketing strategy. In the past, his skills have afforded him two Distinguished Service Awards from the Chi Phi National Fraternity and an American Advertising Federation Gold Addy Award. Mr. Ebner will focus on executing the OmegaFi Marketing Plan and managing the day-to-day operations of the marketing department. Mr. Ebner’s duties as Director of Marketing come at a unique time in the company's history as it continues to expand with the Aquiline partnership and the formation of Togetherwork. Mr. Ebner has already enacted several new initiatives to improve marketing efforts, sales lead generation and valuable industry related content available to our customers and followers via various social media channels. 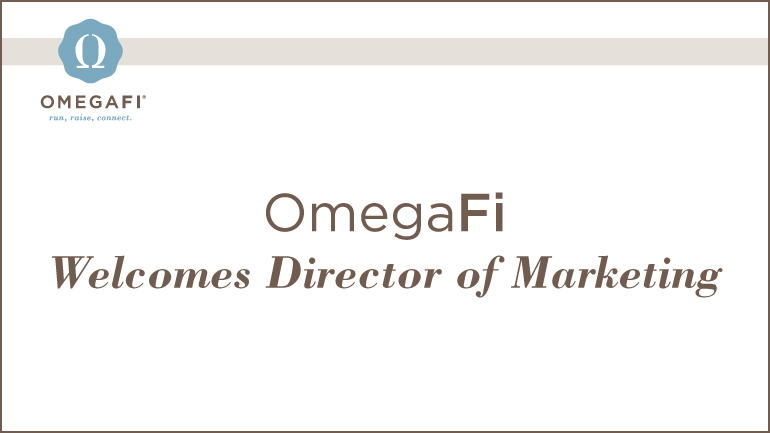 With his background as a published author, fraternity alumnus and marketing/advertising executive, he brings a unique skill-set and valuable insight to problem solving to OmegaFi. OmegaFi is a fraternal organization's partner for long-term success. Their powerful management tools enable chapters, alumni associations, house corporations, foundations and inter/national headquarters to more effectively bill and collect dues and rent, manage rosters and records, pay bills and employees, file tax returns, send alumni newsletters, build websites, raise money and collect contributions.